The short strangle option strategy is a neutral options strategy that capitalizes on volatility contraction and theta decay. A short strangle can be thought of as an advanced form of an iron condor, except without the two long call and put options. Out of every online broker with 24/7 customer service in 2018, Ally Invest the has the lowest commissions to trade the short strangle strategy as well as the best free options trading software. Read the Ally Invest Review. Note: unlike many options strategies, short strangles are always traded out-of-the-money (OTM). If the short strangle is traded at-the-money (ATM) it will be classified as the short straddle option strategy. The net credit received for this trade is $0.60 ($60), the premium from both short options positions. The best case scenario for a short strangle is for the underlying instrument to move slightly up or down, or not at all. If stock XYZ is anywhere between $45 and $55 at expiration, this trade would be a full winner. The maximum profit for a short strangle, as with any short options trade, is always equal to the total premium received. In this case, the max profit is $0.60 ($60). The max loss is theoretically unlimited to the upside and capped at the underlying going to zero on the downside. Both situations are highly unlikely, but they are not impossible. There are two break-even points for a short strangle. The upside break-even point = short call strike + premium received. The downside break-even point = short put strike – premium received. The short strangles option strategy is often the go-to trade of choice among options trading professionals. This is primarily because of the high degree of probability that the trade will profit. Options that are far away from the money have a higher chance of expiring worthless, and the short strangle capitalizes on this inherent characteristic of OTM options. Accurately prognosticating on the future price of a stock, especially in the short-term, is by no means an easy feat. Hence, traders seem to love short strangles because they will make money if the underlying moves up slightly, moves down slightly, or stays the same at any time until expiration. Large up or down moves in the underlying asset are not needed to secure a profit. Because a short strangle consists of a short call and a short put, traders need to have uncovered options trading approval to trade short strangles. The interesting thing about margin requirements for short strangles is that they often don’t require more buying power than a short call or short put requires by itself. 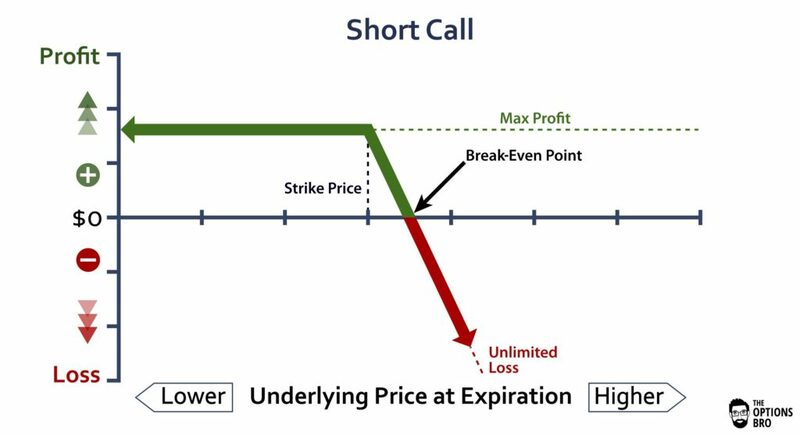 For example, if you are already short 1 call, there is usually no additional buying power required to short 1 put, because both options cannot expire in-the-money. Margin requirements for short strangles also depends on the underlying asset itself. For many futures, the margin requirements are significantly less than for stock options. If you have portfolio margin approval, the margin requirement for short strangles is a lot less. Futures options operate under SPAN margin, which is essentially equivalent to portfolio margin. Theta decay for a short strangle is highly beneficial. Regardless of the direction the underlying asset moves, time premium will come out of the short options. For every trading day that passes until expiration, sellers of the call and put options in a short strangle will collect time premium. When Should I close out a Short Strangle? Short strangles should always be closed out when the option premium is near zero. This goes for either the call or the put. If the value of either option approaches zero, the risk/reward becomes very unfavorable to leave the position on. Some traders prefer to close out short strangles when they make anywhere from 10% to 60% of the max profit. It really depends on personal preference. For unprofitable short strangles, the unprofitable position can always be rolled into the next expiration series. Often times margin requirements and the possibility of increased losses discourage traders from rolling short options positions. Yes. There is an assignment risk for either the short call or the short put in a short strangle if either option is in-the-money. It is impossible for both options to be ITM at the same time. Theoretically, however, a short option on a US stock can be assigned at any time, although this is highly unlikely until expiration. As expiration nears, short strangles should be carefully monitored so that one leg of the trade does not expire in the money. Options brokers will typically notify their clients of expiring ITM options positions, but you should always monitor your account and not rely on your broker. Short strangles seem to combine the best of both worlds when selling options. If the underlying asset moves up slightly, moves down slightly, or stays the same, traders will make money. Something to watch out for with short strangles are sharp increases in volatility or huge, unexpected moves in the price of the underlying. Usually, these two events go hand in hand. 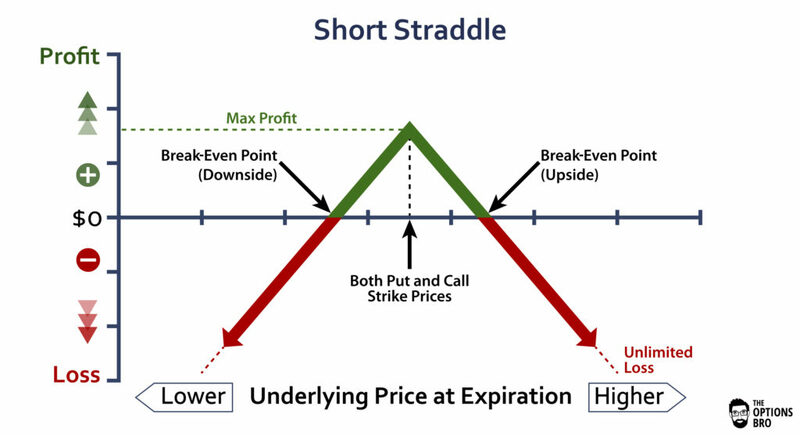 If either event occurs, the losses for the short strangle options strategy can be severe. If a short strangles still sound appealing because of the time decay, but the theoretical unlimited loss is too intimidating, consider trading another neutral strategy with a limited loss, the iron condor. Ally Invest is the cheapest broker to trade short strangles. Up to $3,500 cash bonus + commission free trades for new accounts.